We met Scott, self-professed Owner, Brewer, and Dream at Wits End Brewing Company in Denver at the Beer and Bacon Fest at Mile High Station in Denver on Sunday. Scott’s been growing his impressive beard since August, and when asked if the coloration was natural his response was “Do I look like a guy who’d dye his beard?” It’s that amazing natural talent we love and appreciate here at Beards of Denver. 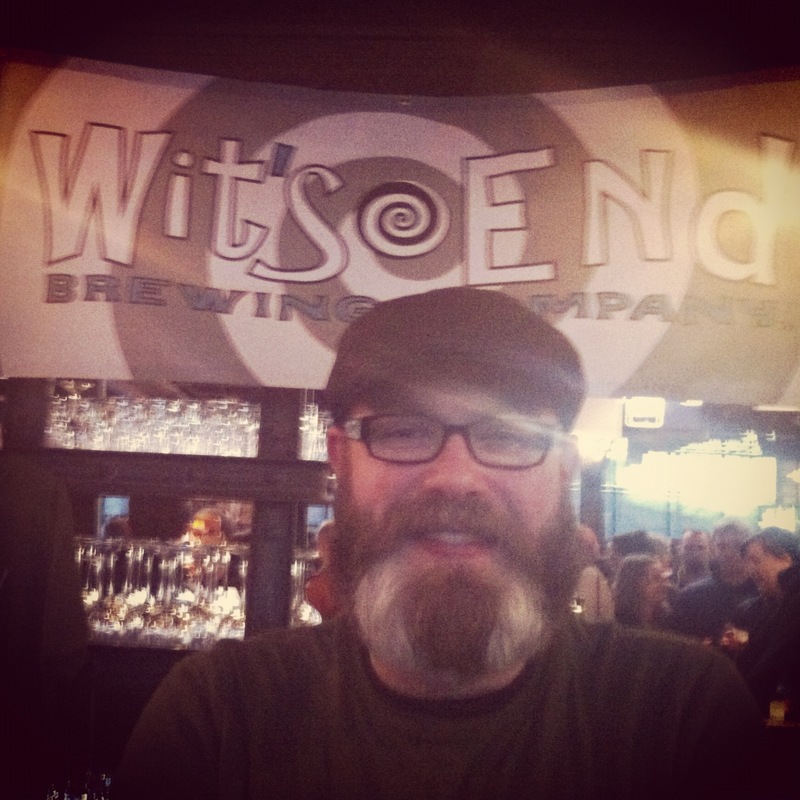 Originally from Seattle, Scott’s been in Denver about 11 years and we highly recommend going to Wits End to say hi to Scott, admire his beard, and sample Wits End’s amazing coffee beer–you won’t be disappointed in the coffee or the beard!